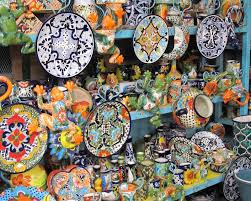 The Gentleman Crafter: San Miguel de Allende in February 2015!!! Let's Go!! San Miguel de Allende in February 2015!!! Let's Go!! Mark your calendars and start saving your buckaroos! 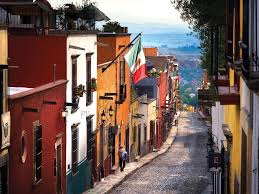 Let's go to San Miguel de Allende together in February!! 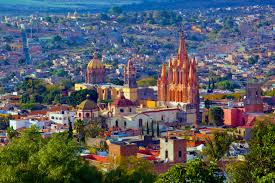 Where else would you want to be during the month of LOVE but the beautiful and oh so colorful town of San Miguel de Allende. Jim West of Scrapmaps has planned a GRANDE time for us and I've got a FANTASTIC project that's just going to be MAGNIFICO!! We offer a low monthly payment plan to make it easy to book the scrapbooking vacation of your dreams! To take advantage of this and to make your reservations you can call us toll free at 877-887-1188 or make your reservations online. Round-Trip airfare from Houston, first-class hotel accommodations, all sightseeing as mentioned in the itinerary, all taxes, most meals, This tour is personally escorted by The Gentleman Crafter JIM HANKINS and Sew Many Places founder, JIM WEST! I hope you consider coming! It's going to be GRANDE! Make it awesome! Adios Amigos!!! Can't wait to go!! I've heard so many good things about San Miguel from friends who loved it there so much they went back every year for many years. LOVE the photo of you and Cesar here and on FB!! Hola! Looks like a wonderful trip. If I can find a roomie I just might go....perfect time to get away from home and the SNOW!